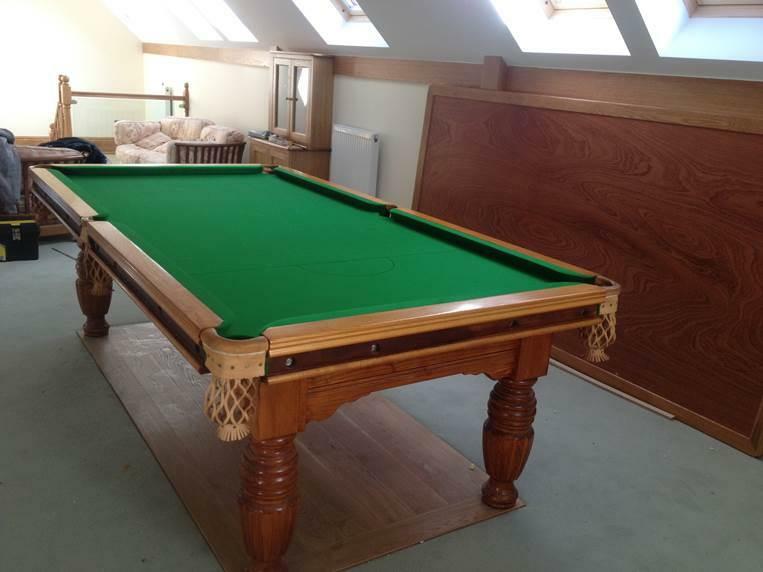 The customer was really pleased with this Recover we did on a 9ft Snooker Tablein 6811 Strachan Gold Tournament cloth. 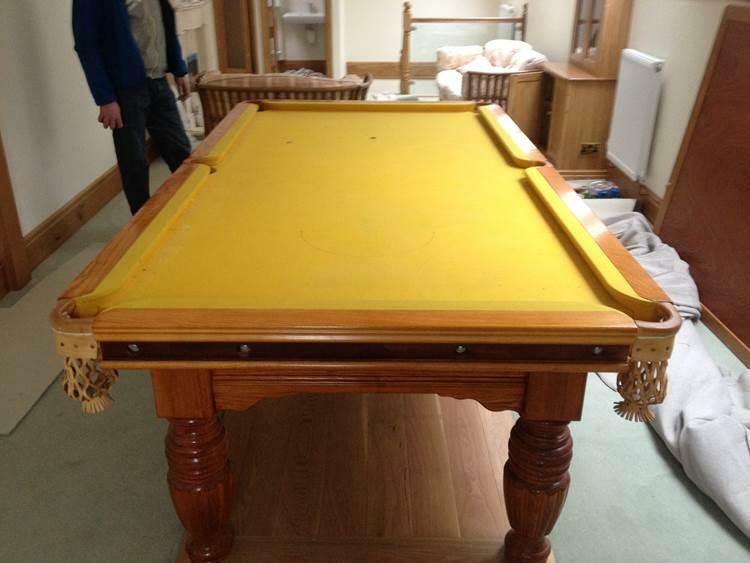 As you can see the old cloth on the table was faded, worn and looked very dull. 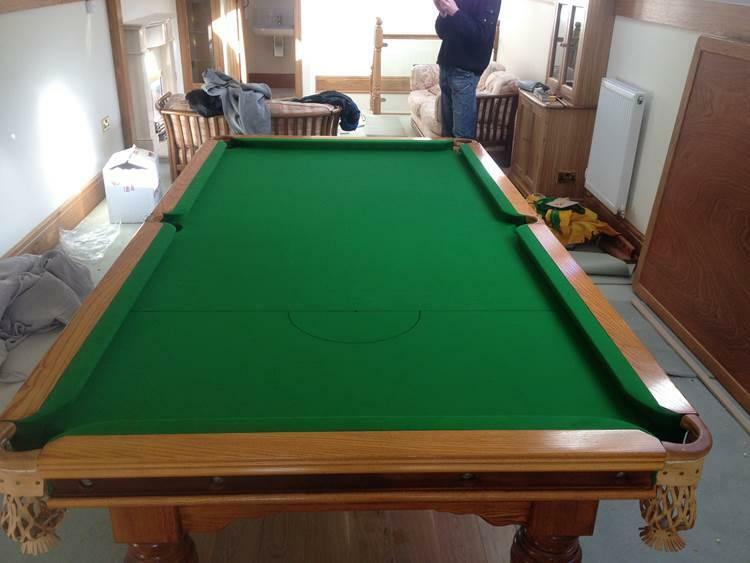 This new cloth brought the table back to life with a smooth napped finish and a shiny colour.